Has Brisbane Lost Its Appeal? What could be better than spending a lazy afternoon exploring the banks of the Brisbane River or catching up with friends at South Bank or even just having a barbecue on the foreshore at Manly?Spending time in any other Australian capital apparently. Brisbane has now been snubbed for the third time this year when it comes to being considered a liveable city. The Economist’s Top Ten list is the latest to be released and Brisbane has again failed to make the grade while Melbourne, Adelaide and Perth made the cut. This follows Brisbane’s failure, for the second year in a row, to make the top 25 cities on the highly regarded Monocle Magazine list. The River City is also the lowest ranked Australian city (yes, even below Canberra) on the Mercer top 100 liveable cities report. Wolter Consulting Group’s Director and Planning Manager, Natalie Rayment said the lists look at more than just the economics of living in the city, delving into what makes people enjoy where they live. “Our disappointment is not simply a parochial reaction,” Ms Rayment said. “Brisbane’s reputation as a new world city is taking a hit. The lists may be seen as purely academic in some circles, but a lot of organisations will consider these rankings when choosing where to hold conferences and other major events. 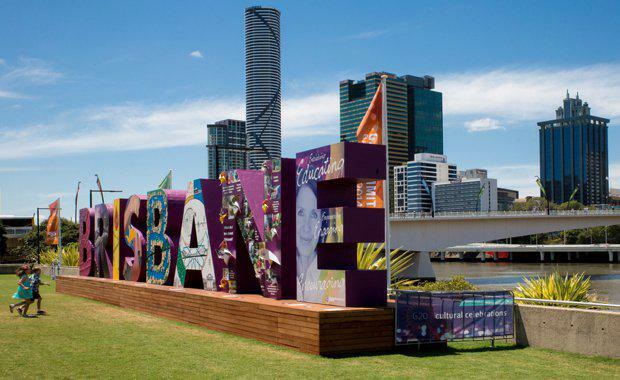 “With the huge revenues that come from hosting major conferences, not making the list could see Brisbane missing out in future. Ms Rayment said while Brisbane has performed poorly over the past 12 months it could bounce back very quickly. “Rather than trying to compete directly with cities who made the lists, Brisbane simply needs to embrace what makes us unique, such as our landscape and the way the river links us to the ranges, our climate and our active lifestyle,” she said. However, to really make a difference in the way Brisbane is viewed internationally, Ms Rayment said it was vital that we support good development outcomes throughout the City. “Developing architectural icons such as the designs for 600 Coronation Drive in Toowong by the late Zaha Hadid, the first female and Muslim to win the Pritzker Prize for architecture, is important to how a city is viewed,” she said. “We need to support these types of developments and create new and exciting activity and cultural precincts that the whole community can enjoy and celebrate. Ms Rayment said Brisbane should be on every liveable cities list given its climate and natural beauty. “Brisbane has a vision to become a new world city and we are attracting some iconic architecture. The Urban Developer is proud to partner with Wolter Consulting Group to deliver this article to you. In doing so, we can continue to publish our free daily news, information, insights and opinion to you, our valued readers.